I was given the opportunity to try out Wink Threading last week. “For the sophisticate and the novice alike, threading has supplanted waxing as the safest, most effective eyebrow-hair-removing alternative. This precise method removes hair in a line formation to achieve an exact and angular brow – producing a look that will start drawing compliments from the moment you leave the Wink salon. This gentle form of hair removal avoids contact with the skin and is the most hygienic process available, because there are no chemicals or tools used aside from a spool of antibacterial thread. In fact, dermatologists recommend threading for patients on topical medications because the skin is not irritated in any way by the procedure. The environment at Wink is welcoming and clean. The session was short [about the same amount of time as a typical wax]. Rather then painful it almost was a prickly tickle sensation but nothing that was super uncomfortable! I love that they don’t just do a standard shape and they work with your face. 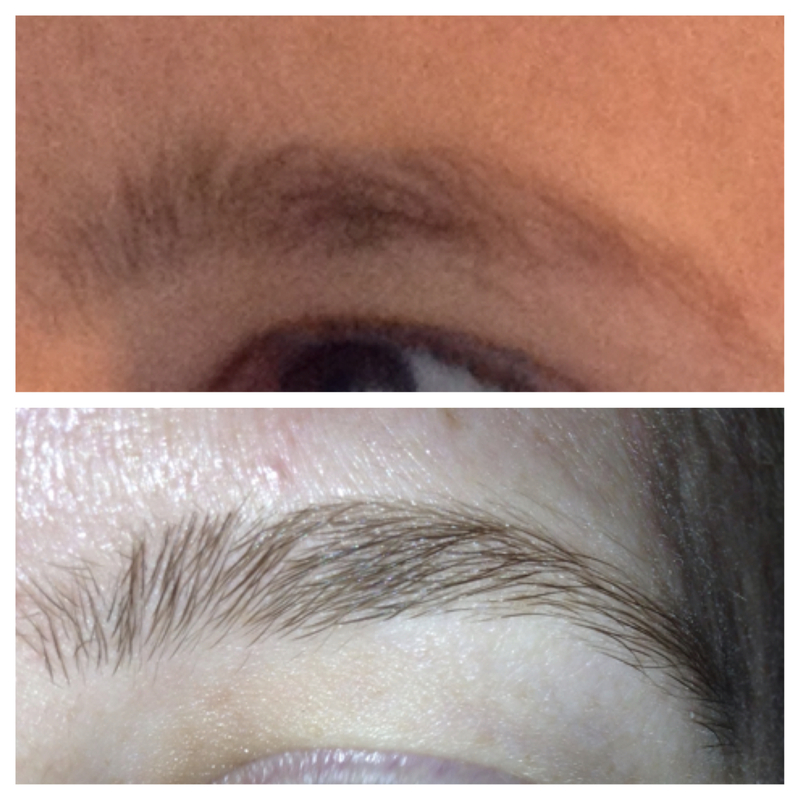 Also, they don’t do brows super thin which is fabulous although I am sure they can if you request it! My favorite thing was the fact that my skin wasn’t bright red after the threading was over and it never turned red! Sensitive skin for the win! 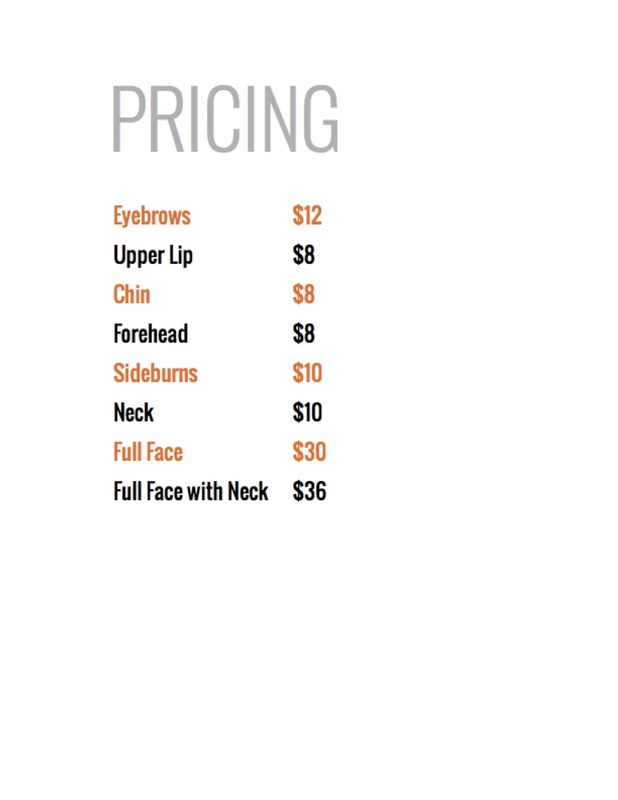 Pricing below is for Wink threading and it is fairly comparable to other area waxing salons. Below is my before and after. My apologies that the quality isn’t the best. But they were taken in different lighting! TOP is before BOTTOM is after! LOVE The shape! They did a GREAT job and I will definitely be back! Make sure to like them on Facebook and follow them on Twitter for great deals and information!